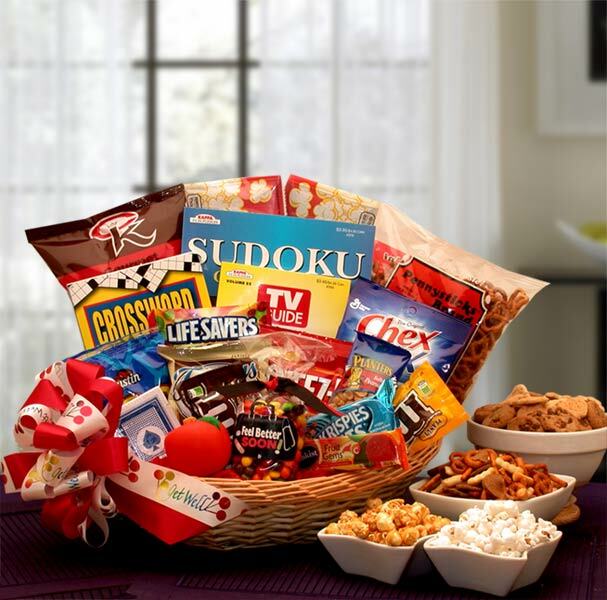 Send a Get Well Care Package filled with a variety of healthy snacks, puzzles, games and more! Boredom Buster Snack Care PackageThis care package is a sure way to beat the boredom and give them a much needed break! Includes a word search and crossword book, a deck of cards, a wooden puzzle brain teaser game, a smiley stress ball to help melt away the stress, and an array of tasty snacks. APO/FPO/DPO Shipping Available.